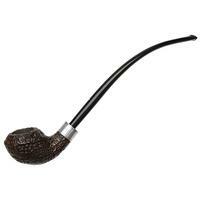 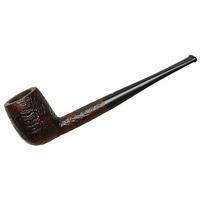 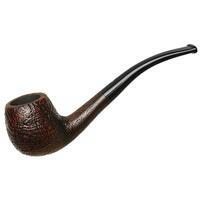 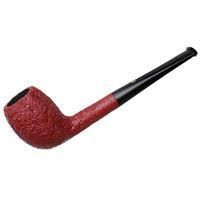 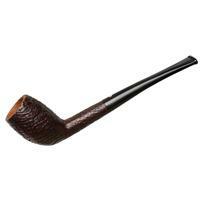 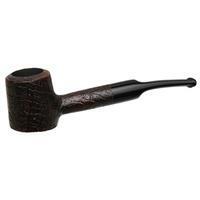 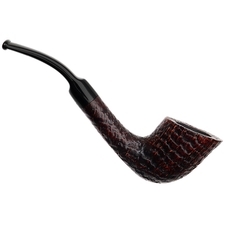 Savinelli's Autograph series might be better known for large-scale briars, but that doesn't apply to the Mignon series. 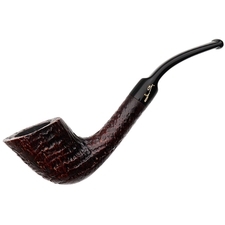 This bent Dublin sports the same quality of briar and craftsmanship as its larger counterparts, but makes for a much more petite design. 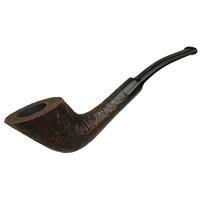 Lithe of bend and supple of bowl, this piece will slip into a pocket or hang from the jaw with ease, while still offering a fairly generous chamber for its size. 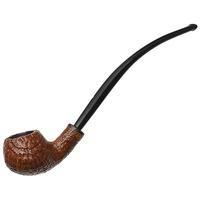 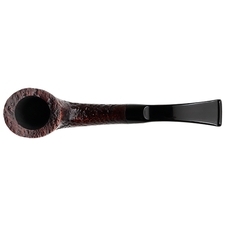 The deep sandblast goes a long way to providing some craggy texture, while a dark stain provides a warm but subdued palette, perfect for those who prefer a more pastoral aesthetic to their pipes.